We are very pleased to announce our further involvement with the Faculty of Engineering & Information Sciences at the University of Wollongong through the sponsorship of the Science Technology Engineering Mathematics (STEM) Competitions. 3D Orthotics is proud to announce our sponsorship of two entire categories in the 2014 competition. 3D Orthotics is privileged to be part of this amazing competition, that aims to promote innovation, creativity and lateral thinking among today’s young thinkers. At 3D Orthotics we advocate new ways of doing things, making things and creating things. As the STEM competition actively promotes and rewards this way of thinking we saw it as a perfect fit for a 3D Orthotics and the University of Wollongong to join forces and help support the next generation in breaking the mould. The STEM program has gone from strength to strength in it’s relatively short history, testament to the success of the program thus far. 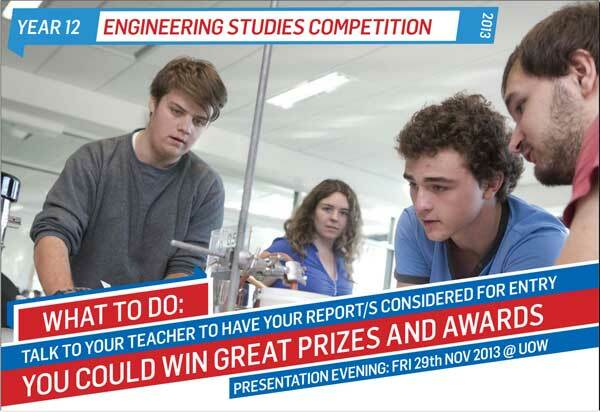 With more and more schools becoming part of the competition every year, 2014 is shaping up to be the biggest year yet. More sponsors, more prizes, many more students and some very exciting times ahead for all that are involved.